Drinking a cold beer on a warm September afternoon — good. Drinking a cold beer on a warm September afternoon while enjoying live music — better. Drinking a cold beer on a warm September afternoon while enjoying live music, hot dogs, and shopping for handmade crafts at the Black Walnut Festival in Historic Bethania, NC — the best. That’s what the Black Walnut Festival is all about — providing the best of things folks really enjoy — a day of celebration with local artisans and makers, live music, free parking and fun for the whole family. 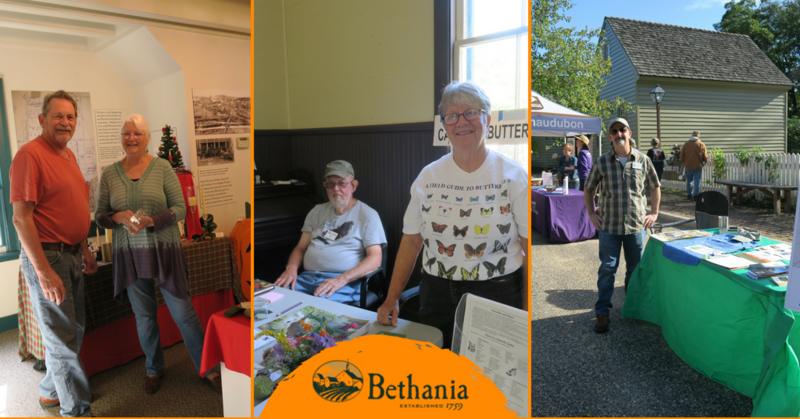 This year’s festival will be held from 10 am to 4 pm Saturday, Sept. 29th at the Historic Bethania Visitor Center, 5393 Ham Horton Lane. 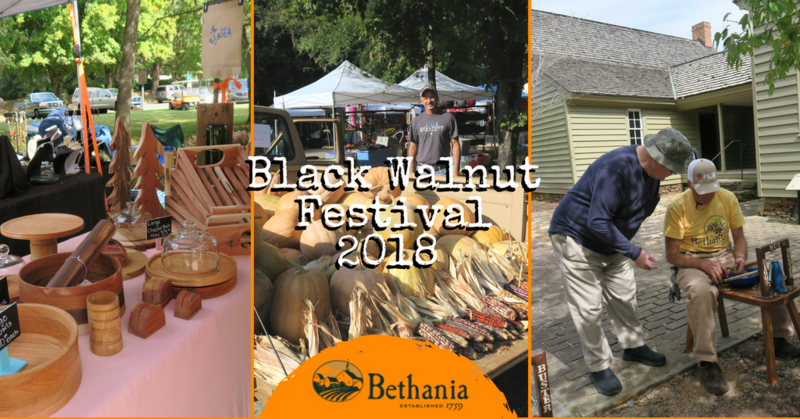 Bethania’s Black Walnut Festival is the only festival in North Carolina paying tribute to the indigenous black walnut tree that can be found today in all regions of North Carolina and is mainly used to produce beautiful furniture. Settlers in the 1700s used the nuts to dye linen cloth, make herbal medicines or baked goods in the fall. The festival kicks off the fall season as a celebration with live music, booths filled with handmade crafts from local makers and artisans and of course black walnuts for sale. To handle the crowds, free parking is provided Bethania Moravian Church on Main Street. A free shuttle service will bring visitors to the center of the festival. Upon arrival at the festival, visitors may explore vendor booths in the 1790s Wolff-Moser House, the 1894 Alpha Chapel, and throughout the Visitor Center grounds. Live music is planned in the courtyard. Hot dogs, burgers and more including veggie options will be available for sale from the Muddy Creek Cafe. Staff from Foothills Brewery from Winston-Salem will be selling cold beer. Bethania’s 500-acre Historic District has received the highly-respected designation of National Historic Landmark and contains a number of National Register Nominated buildings. Bethania was established in 1759 as a self-sufficient farming community created for both Moravian and non-Moravian settlers. The town included houses, tradesman shops, a church, school, barns, and gardens. Now more than 250 years later, Historic Bethania is the only example of a European style “open field” agricultural village remaining in North Carolina.